Steven V. Hunter is a trial lawyer with first-chair experience representing companies in all phases of litigation and alternative dispute resolution, including discovery, "e-discovery," motions practice, arbitration, mediation, jury trials, bench trials, and appeals. Representing financial institutions and banks in commercial loan, multi-creditor/participating loan, lender liability, fraud, and consumer fraud disputes including the recovery and disposition of several million dollars of secured assets. Representing international raw material, component, and end-product manufacturers (Chinese, UK, and Korean) in product liability, breach of contract, and business tort claims brought in U.S. courts (with a particular emphasis on challenging jurisdiction). Representing closely held corporations as well as members and shareholders in "corporate divorce"/corporate dissolution disputes. Representing construction managers, owners, and trades in construction-related disputes. Representing landlords and tenants in commercial leasing disputes. Representing entertainers and professional athletes in business and personal liability disputes. Representing companies and individuals before various Illinois state and local administrative agencies. Representing companies in breach of contract and business tort disputes. Representing an investor in a FINRA Arbitration against a broker related to $12 million in tenancy in common securities. Representing a securities investor in a claim related to an underlying FINRA Arbitration. Serving as counsel for asbestos litigation on behalf of a number of companies. Representing pro bono clients in criminal, family law, and political asylum proceedings. 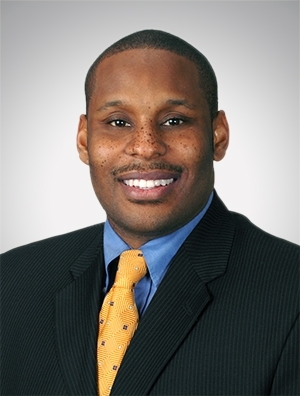 Mr. Hunter also has significant experience managing high-volume ESI productions, computer forensic analysis, and complex data preservation issues. He is an ACEDS certified electronic discovery specialist,* and he is regularly invited to speak on issues related to electronic discovery, trial practice, legal ethics, pro bono, and diversity in the legal profession. * The bars of Illinois and New York do not recognize legal specialties. Illinois State Bar Association "2012 Young Lawyer of the Year"